Your Top 3 Actors and Their Best Roles? Discussion in 'The Pub' started by Stev0Griffin, May 9, 2016. Please base this on performances, and not political affiliation. 1.) Cary Grant - "North by Northwest"
2.) Lon Chaney Jr. - "The Wolfman"
3.) Gary Oldman - "Léon: The Professional"
spotmandeux, deluxeman, harry65 and 3 others like this. 1) Peter Greene - "Clean, Shaven"
2) Russel Crowe - "Gladiator"
3) Orson Wells - "The 3rd Man"
cratz2, Blanket Jackson, derekd and 2 others like this. Heinz W, mdrake34 and Peteyvee like this. Pacino in The Godfather is close to a perfect performance (to me). I just don't like him in a whole lot of other movies (so I omitted him). I loved Nick Cage in Raisin' Arizona. sanrico and sausagefingers like this. jdel77, Heinz W, deeohgee and 4 others like this. William Holden "The Wild Bunch"
Marion Cotillard "Two Days, One Night"
65DuoSonic, Heinz W, deeohgee and 3 others like this. Just 3? No way I can do top three, but here are 3 of my favorites. TVvoodoo, deluxeman, Link Ramone and 6 others like this. 65DuoSonic, cratz2 and Don P. like this. duckbunny, deeohgee and Stev0Griffin like this. Raging Bull is my all time favorite role by any actor. Struggled over DeNiro here. 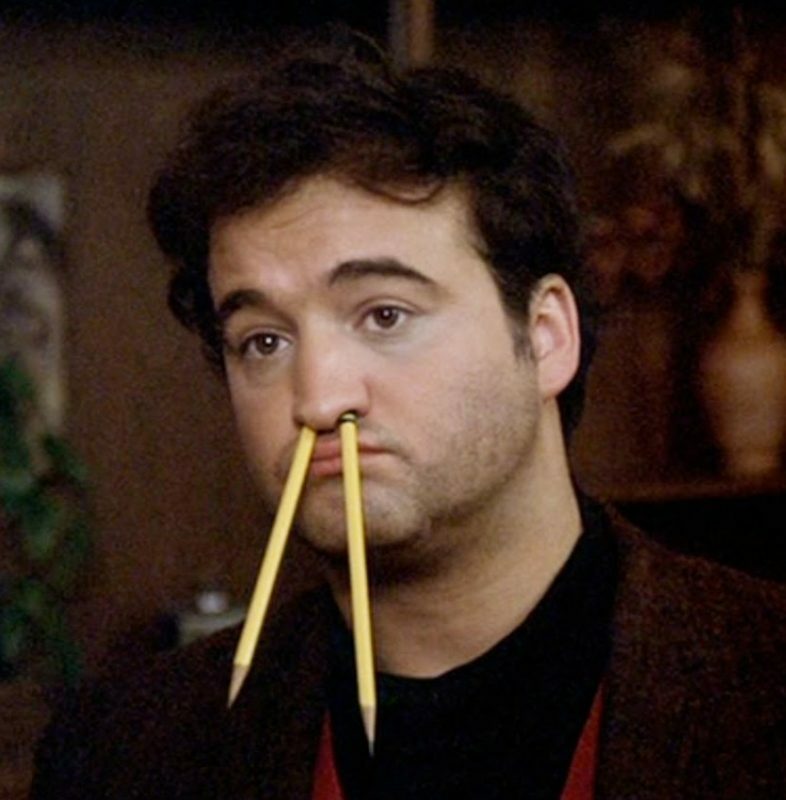 Also struggled over Belushi! Good call. gigs, shane8 and SPROING! like this. Stev0Griffin and derekd like this. Does a "role" in this case span multiple movies? Han Solo/Indiana Jones for instance. I am struggling with this as "my top 3 actors" (my implying "favorite" rather than enigmatic "best) don't seem to have great roles. Kevin Spacey, I love him in everything but can't pick one great role. Christian Bale, in a very similar way. Yet the roles I tend to love, say Carey Elwes in Princess Bride, are often so great as to somewhat hold the actor back from other great things. Moonstruck and Raising Arizona over Leaving Las Vegas?!?? A-Bone and lp_bruce like this.